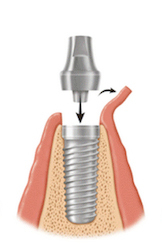 Implants can be used for as long as 10 – 30 years depending on the care. 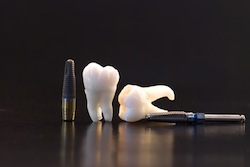 Implant has excellent esthetic function, since it looks and feels like a natural tooth..
With a bridge, your healthy adjacent teeth will be affected. 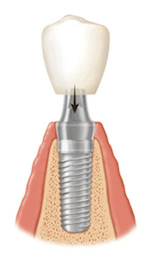 An implant is placed only in the gap where the lost tooth was located; however, adjacent teeth are not damaged. 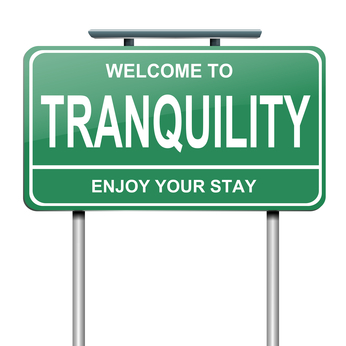 You can be relieved from the periodontal pain, discomfort, and bad breath that are related to wearing dentures. 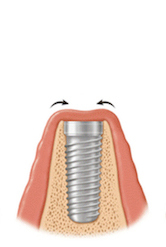 An implant is permanent, since it is attached to the alveolar bone like a natural tooth. 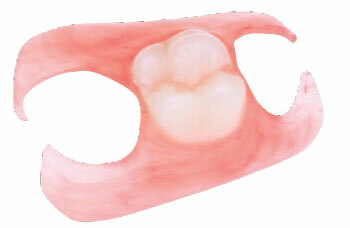 There is no chance of the implant developing cavities because it is an artificial tooth. 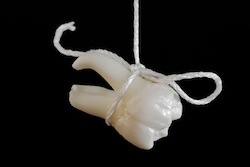 If you wear dentures for a long time, your jawbone can deteriorate. 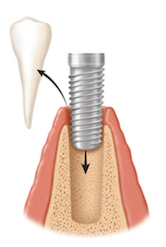 In contrast, implant placement makes the bone strong and prevents it from being absorbed by the body. With an implant, you can feel the temperature and texture of foods. In the case of a full denture, it can be fixed firmly after the implant is placed; hence the absence of movement in the mouth.